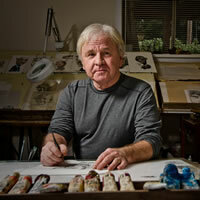 Kerry Waghorn is the most accomplished caricaturist in the world. His Faces in the News feature is a 30+ year journalistic legend, honored back in 2007 with a feature article in Editor & Publisher. Represented by Universal Press Syndicate, Kerry Waghorn caricatures have appeared in more than 400 publications in about 60 countries around the world. Among the journals that have published his inimitable creations are the Miami Herald, Boston Globe, Chicago Sun-Times, San Francisco Chronicle, Chicago Tribune, The New York Times, New York Daily News, Atlanta Journal, Montreal Gazette, Vancouver Sun, Japan Times, Sydney Morning Herald, Hamilton Bermuda Business, Korea Times and New Zealand Herald. 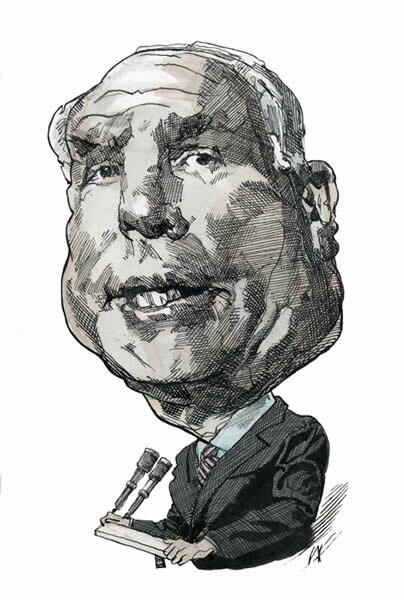 Copies of Waghorn's more than 9,000 caricatures, editorial illustrations and political cartoons are inexpensively available in medium and high resolution digital versions, or high quality prints, through this web site and Universal Press Syndicate. Personal autographs by the artist for a specific recipient can be arranged for a modest additional fee. The ultimate prize is a Kerry Waghorn original caricature, often purchased by or on behalf of the subjects. Among the many who have done this were President Bill Clinton, movie magnate Michael Eisner, NFL Commissioner Paul Tagliabue, Billy Joel, John Kenneth Galbraith, former Canadian Prime Minister Brian Mulroney, Bryan Adams, Howard Stern, Governor Arnold Schwarzenegger, Michael Douglas, baseball's Tommy Lasorda, David Bowie, Robin Williams and Michael Jackson. © Kerry Waghorn. All rights reserved.